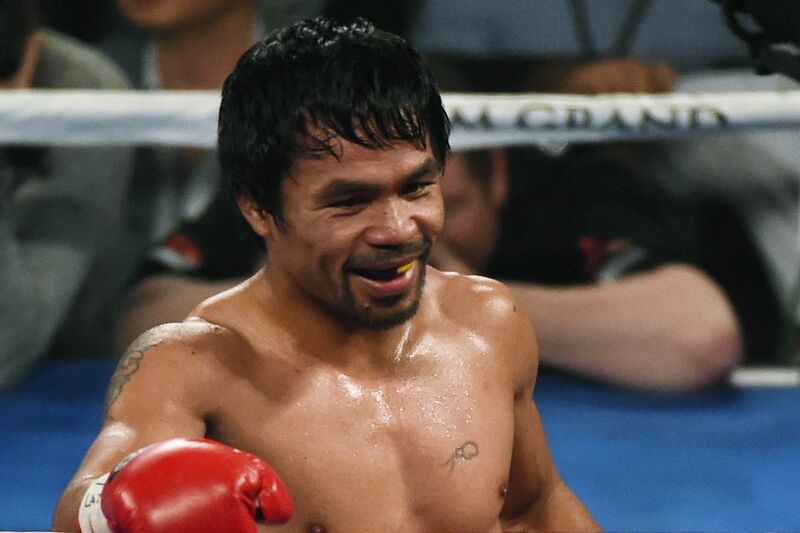 Manny Pacquiao ended his short-lived retirement after quickly missing sport he grew up on. The Manny Pacquiao show will roll on for the foreseeable future as the Filipino icon is signed on to face Jessie Vargas for his WBO welterweight title on November 5th at the Thomas and Mack Center. And Pacquiao’s return isn’t expected to be just a one-off fight either, you know, to get it out of his system — Bob Arum says Pacquiao will also fight twice in the coming year. Pacquiao, himself, has acknowledged talk of him fighting two times in 2017 but says that he won’t discuss what comes next until he takes care of Vargas. So what’s the motivation for a fighter who is already a first ballot Hall of Famer? Well, Pacquiao tells RingTV that he just misses the sport. “I missed boxing, I grew up in boxing. I felt lonely when I stopped boxing. Boxing is my passion,” says Pacquiao. Pacquiao, who currently holds a post as a senator in the Philippines, is training for the fight in Manila during his off-time and says that he will finish his training in the U.S. once the senate goes on break. But despite absorbing the role of a struggling up-and-comer who typically needs to carry a day job in order to make ends meet, Pacquiao is doing so willingly, insisting that he’s not taking Vargas lightly. “I don’t want to underestimate him. He’s a champion. So, I always consider my opponent as one of the best,” said Pacquiao. Manny enters the fight as the heavy favourite to beat Jessie Vargas, despite being 10 years his senior.